Lots of people struggle to buy suitable toys for a 2 year old boy. With a bit of understanding about how 2 year old boys think and where they are in their development, I’ll help you to choose the perfect toy for 2 year old boy. To choose the perfect toy for 2 year old boys, the first step is to write a list of the types of toys they’d like. Once you have done this, you can start looking for specific products and make a decision on which toy to buy – the perfect gift. If you want to make a quick decision and don’t have time to follow the steps in this article, go straight to my article on Toys for 2 year old boys. This provides lots of ideas and tells you where to buy different types of toy for 2 year old boys. Look at these categories and think about what the 2 year old boy is actually into. What do they enjoy doing? Do they have lots of toys from one category, but nothing from another? When buying a toy for a 2 year old boy, you probably have a budget in mind. Making a decision – which toy to buy for 2 year old boy? Once you have a shortlist of suitable toys, answer these questions to make the final decision. Is the toy suitable for 2 year olds? Most toys are labelled as being suitable for children aged 3+. 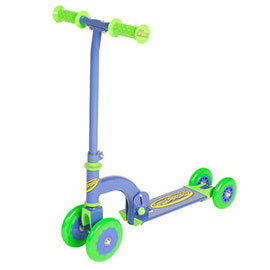 Check the age range of the toys you are looking at – this will help you to narrow down your shortlist. Is the toy age-appropriate for 2 year old boys? This is a really difficult question if you don’t spend a lot of time with 2 year old boys. Even if you have had children of your own in the past, as they grow older it’s easy to forget what they were like as 2 year olds. And it becomes a complete nightmare if you are childless and are buying a toy for a friend or relative’s 2 year old! Although all children are different (which makes choosing the right toy even harder! ), here’s a quick summary of what you can expect the average 2 year old boy to be able to do. This will help you to choose a suitable toy that fits with their current developmental stage, and can also grow with them. Mobility – By now, 2 year olds have mastered the art of walking and might even be able to run and jump. They’re attracted to toys that allow them to enjoy this freedom – for example slides, tunnels etc. Dexterity and hand-eye co-ordination – 2 year olds are learning how to use their hands in more complex ways. They probably don’t know how to do more complex movements such as unscrewing a lid, and are just starting to learn how to build taller towers of building blocks, make basic shapes with Duplo or Mega Bloks, or thread toys with big holes onto a line. Imaginative play – 2 year olds are in the early stages of becoming more creative and are beginning to engage in pretend play. For example they might enjoy activities such as copying their parents doing the housework. 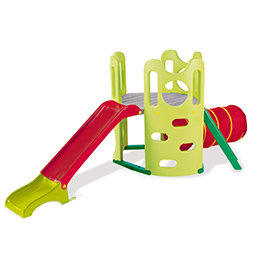 Basic pretend play toys such as a play kitchen or toy farm set are perfect for a 2 year old boy. Choose pretend play toys by watching the child and seeing what interests them. 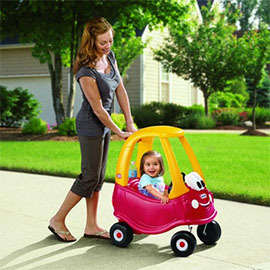 If the 2 year old boy really loves cars then their pretend play will be boosted using car toys and garages. If they love copying their parents cleaning then they’ll love cleaning toys such as a toy vacuum cleaner or broom. 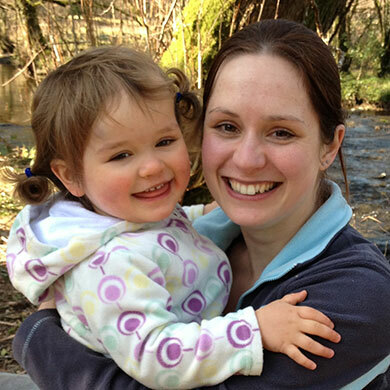 An organised mind – 2 year olds are becoming more logical and are learning how to make sense of the world around them. They love toys that involve sorting and categorisation, for example very simple jigsaws (ideally no more than 6 pieces), shape matching form boards or shape sorters. Colours – 2 year olds are learning about colours. All children learn at different rates, but 2 year olds generally enjoy toys that allow them to identify and match colours. Reading and writing – Most 2 year olds are starting to become interested in learning about letters and numbers. It’s a lovely age because they don’t have to be forced to learn – they actively want to! You can encourage them with their reading and writing with very simple toys that feature prominent letters and numbers, musical toys that sing counting songs, etc. One example is the VTech Baby Splash and Count Penguin which helps with both colour recognition and counting, or the My Own Leaptop computer toy for 2 year olds which helps children to learn their letters in a fun way. Letting off steam – A lot of 2 year old boys have excess energy and love to do things that allow them to let off steam by making noise and bashing things. A hammer bench or musical toys can help with this! Avoid choking hazards – Although 2 year olds have moved beyond the baby stage of putting everything in their mouth, it’s still too risky to give them toys with tiny parts that may be a choking hazard. Will the 2 year old’s parents approve of the toy? If you’re buying a gift for a 2 year old boy who is not your son, it’s worth thinking about what their parents will think. Does it fit with their values and the way they are raising their child? If it’s a big toy, will they have room for it? Will they like how it looks in their house? Does it tidy away neatly? Is it easy to clean and maintain? When all else fails, look on Amazon! Use the ‘Sort by’ dropdown list to find the toys with the best ratings or the highest popularity – this will help you to find the right toy for a 2 year old boy more quickly.